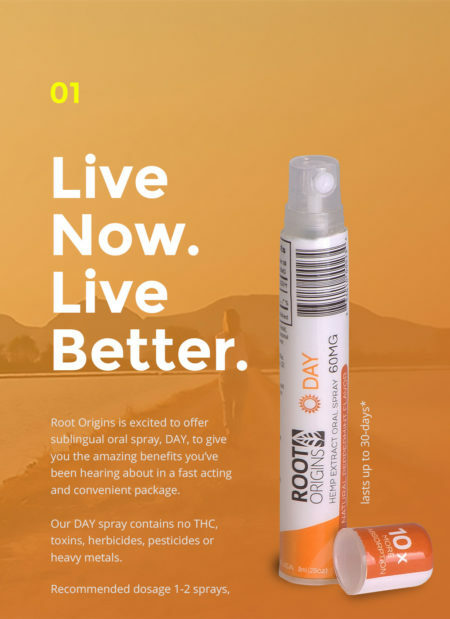 Root Origins is excited to offer NIGHT. 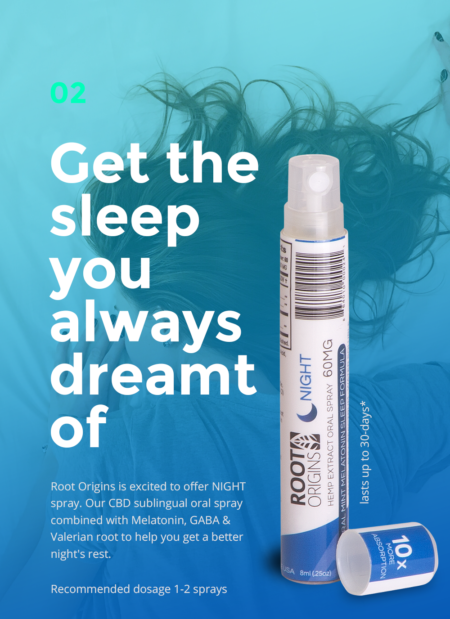 The first CBD sublingual oral spray combined with Melatonin, GABA & Valerian root to help you get a better night's rest. 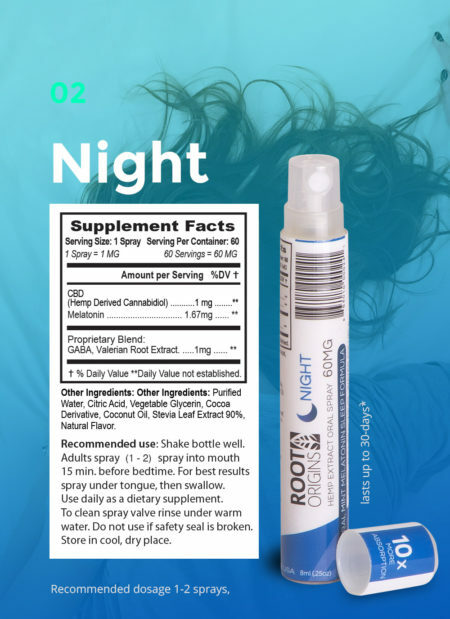 Our NIGHT spray offers an accurate spray applicator with each spray delivering 1mg of CBD Sleep Formula. Our convenient 8ml spray bottle will last up to 30-days*. 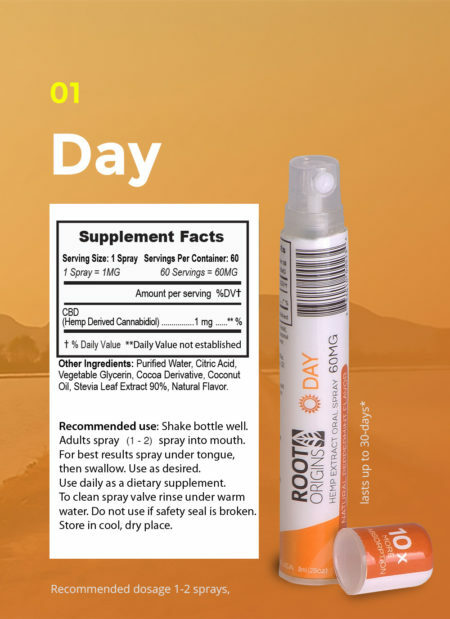 Recommended dosage 1-2 sprays, 1mg.